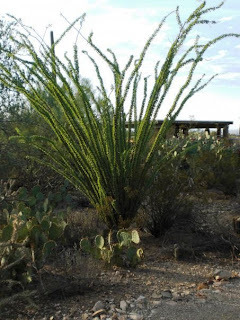 The beautiful and stately ocotillo cactus is a popular landscape addition - both as an ornamental plant on its own as you see in this photo and also as a fence. 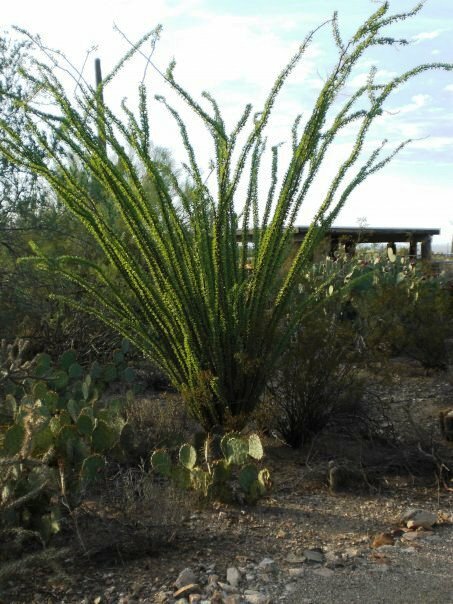 These cacti are often seen planted along a fence line to mask the fence and to provide additional privacy and security (they are thorny!). This one is just ready to bloom - the tips of the arms will display crimson blooms - striking!